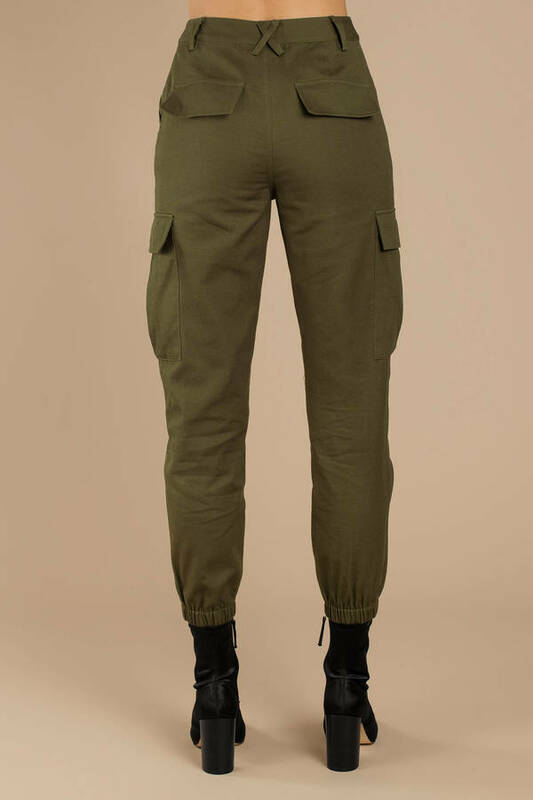 Check out Tobi's Neisha Cargo Pants Servin' up some cool cargo with the Neisha Olive Cargo Pants. 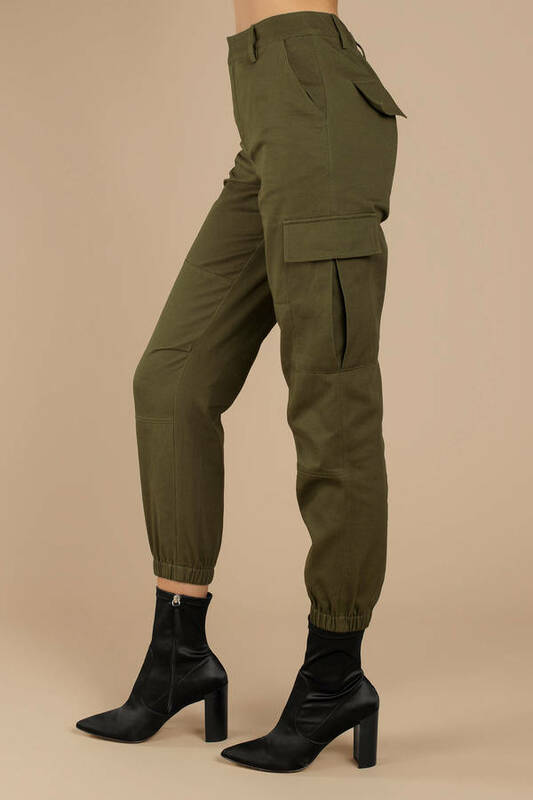 These long high waisted pants feature four pockets, cinching at the ankles, and a relaxed fit, perfect for days where you want to just chill but look cute doin' it. Pair with a tight crop top and boots for extra chic points. 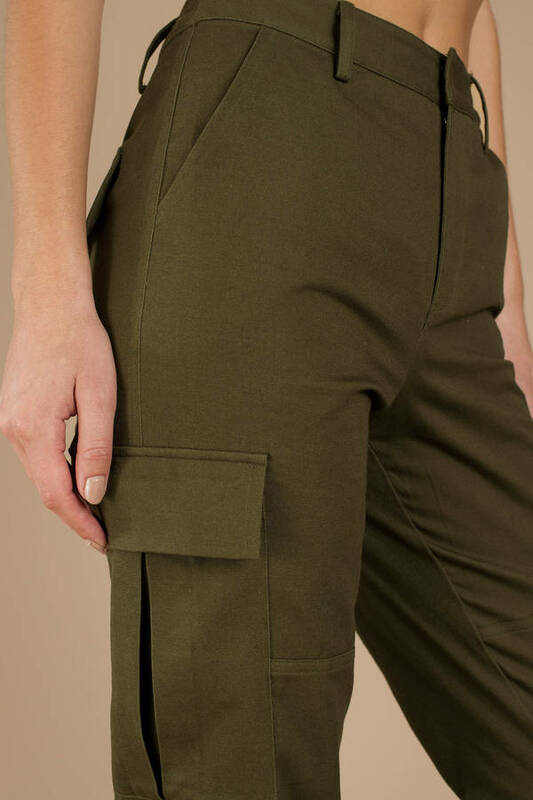 Servin' up some cool cargo with the Neisha Olive Cargo Pants. These long high waisted pants feature four pockets, cinching at the ankles, and a relaxed fit, perfect for days where you want to just chill but look cute doin' it. Pair with a tight crop top and boots for extra chic points.